A key player in the Blue Apple bribery scandal that cost Panama $tate nearly $80 million will be jailed for over five years following a plea bargain. Blue Apple was a basket company created to receive bribes from companies that tendered with the State in the 2009-2014 period. 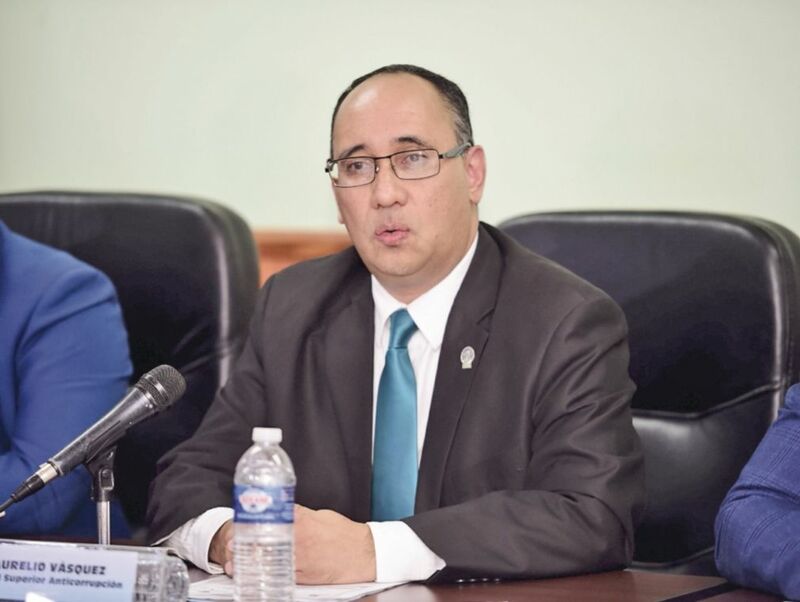 The Sixth Anti-Corruption Prosecutor's Office and Edward Domínguez agreed on a 66-month prison sentence, as part of the case. According to the investigation of t sixth anti-corruption prosecutor, Aurelio Vásquez, the Blue Apple company transferred funds to companies controlled by Domínguez, who later gave the cash to two of the actors in the plot: Federico Barrios, legal representative of Blue Apple; and Joaquín Rodríguez Salcedo, former vice president of Factoring of Global Bank. He changed about $3 million,.and for each transaction, received between 1% and 3%. Dominguez admitted to money laundering and is currently in custody. Dominguez, the husband of a niece of Salcedo, had the task of changing checks received in a personal capacity and through two companies of which he was legal representative. According to the Public Ministry, he would have changed at least $3 million. The is cash was returned to Barrios and Rodríguez Salcedo, funds that would have been used to pay bribes. For each transaction, Domínguez earned between 1% and 3%. In a press conference, prosecutor Aurelio Vásquez said he is preparing the fiscal hearing to request the trial of the 61 accused. He revealed that through the company Blue Apple, a possible patrimonial injury of $78.3 million was detected, of which $ 33.6 million has been recovered reports La Prensa. Among those investigated are Federico Suárez, former Minister of Public Works (MOP); Jorge Churro Ruiz, former MOP Director of Contracts; Rodríguez Salcedo and Barrios; Ex MOP Minister Jaime Ford; Luis Enrique and Ricardo Alberto Martinelli, sons of Ricardo Martinelli; Giácomo Tamburrelli, former director of the now-defunct National Aid Program; Sergio González Ruiz, former president of MOLIRENA, a party that was an ally of the CD part Cambio Democrático in the last government. Another is Kristelle Getzler, who served as Secretary of Economic Affairs and is the wife of former Minister of Finance Frank De Lima.